English Premier League heavy weights, Manchester City are reported to have agreed to the move of Schalke younsgeter Leroy Sane for 40 million Pounds. The move drew concerns to the huge amount the Etihad management is willing to spend on the player that young who could still flop. 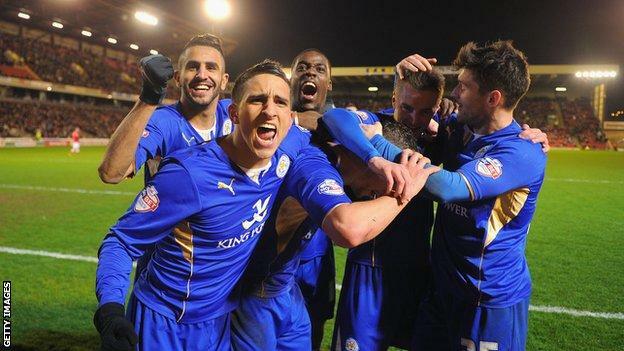 Star players of the newly crowned English Premier League champions, Leicester City, have demanded an increase in wages following their fairly tale season. The champions’ Thai owners are planning to open contract negotiations with most of their players later this month when celebrations wear off a little. During their recent title celebration round the city, nearly all of the city dwellers (reportedly 240,000 ecstatic fans) came out to celebrate with the champions of England. With another season in the Premier League to look forward to, on the back of a successful campaign all the way to the FA Cup final, Crystal Palace have much to look forward to. The team might have been considered as an underdog for the FA Cup final against Manchester United, but they put in a fantastic performance that saw them being just 12 minutes from greatness, and many are optimistic that they will be able to win the trophy next season if they keep their best players. PetrCech is arguably one of the best goal-keepers in the history of football who manages to perform at a high level in every season and it has not been any different this time around as he was able to secure 15 clean sheets in 33 appearances. The veteran player was even named as the Czech Republic player of the year as he continues to display his world-class skills even at the age of 33; he has not shown any signs of slowing down. Football fans are the most passionate group of fans in the world. They don't just like to watch their favorite teams play in games, they like to feel a personal connection and some fans take it personally, almost to hear when their favorite team loses. This is why it comes as no surprise when we learned just how much football fans were spending in some of the top cities for football events. If you had to guess, how much do you think is spent in Liverpool every single season by passionate football fans? Cesc Fabregas went from hero to villain as he captained Arsenal for some time and for a period of time, the Spanish midfielder was hailed as a hero for the Premier League club but Fabregas turned into an antagonist for the Arsenal supporters after he decided to join Chelsea back in 2014. The Spanish midfielder is a regular starter in the team of Guus Hiddink but even though he has established himself fairly well in Chelsea, there is always a stream of rumors going on involving Fabregas and the possibility of him making a return to the Emirates Stadium. Copyright © 2019, Football Pundette.